"It's really a catch 22 situation," said Robert Rosseter, spokesman for the American Association of Colleges of Nursing. "Some of these applicants graduated high school top of their class with a 3.5 GPA or higher," said Rosseter. "But the competition to get into a nursing school right now is so intense." She said the nursing profession has surged in popularity for a few reasons. "Nursing offers an entry-level living wage with which you can support a family," said Kirschling. 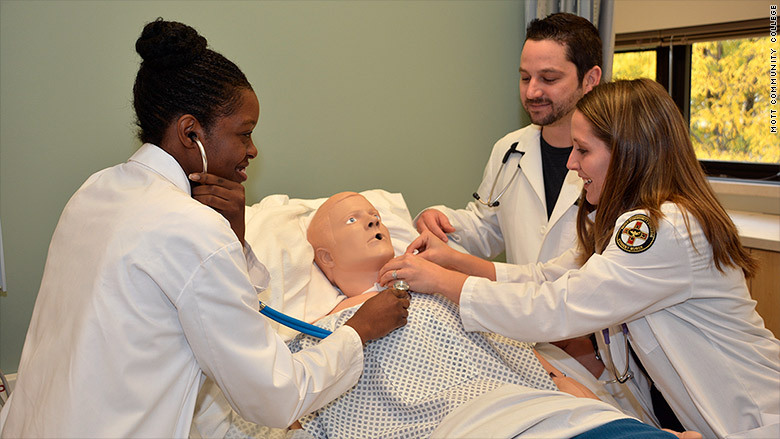 Like many nursing schools in the U.S., Mott Community College in Flint, Michigan has also reduced the number of new nursing students it admits despite an ongoing nurse shortage in the U.S. There's built-in flexibility and mobility. "You can work three 12-hour shifts and get four days off," she said. And nurses aren't locked into a specific location, employer or specialty for the rest of their lives. "There's tremendous growth opportunity," said Kirschling. 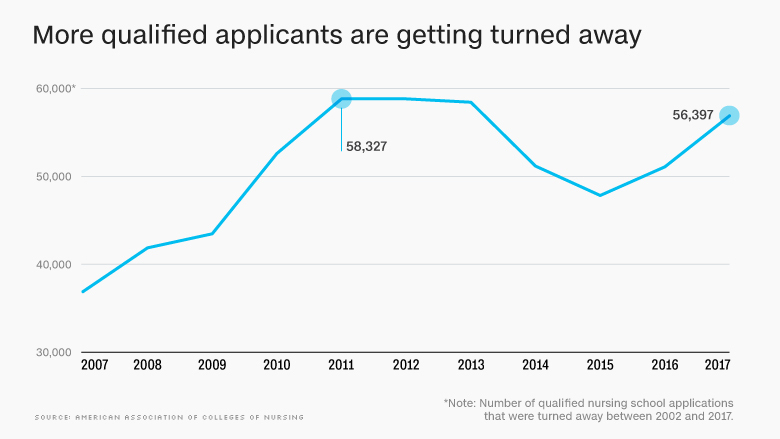 For one thing, nursing schools are struggling to hire more qualified teachers. "The annual national faculty vacancy rate in nursing programs is over 7%. That's pretty high," said Rosseter. "It's about two teachers per nursing school or a shortage of 1,565 teachers." Students in the nursing program at Mott Community College in Flint, Michigan. "It changed from 10 students for one educator to 8 students. So we had to adjust our class size accordingly," said Rebecca Myszenski, dean of the division of Health Sciences at Mott Community College. Pediatrics, obstetrics and mental health are the areas where nursing students have the most unmet demand for clinical training," said Kirschling. "As we try to increase the number of nursing students, these three areas will be bottlenecks for nursing programs." 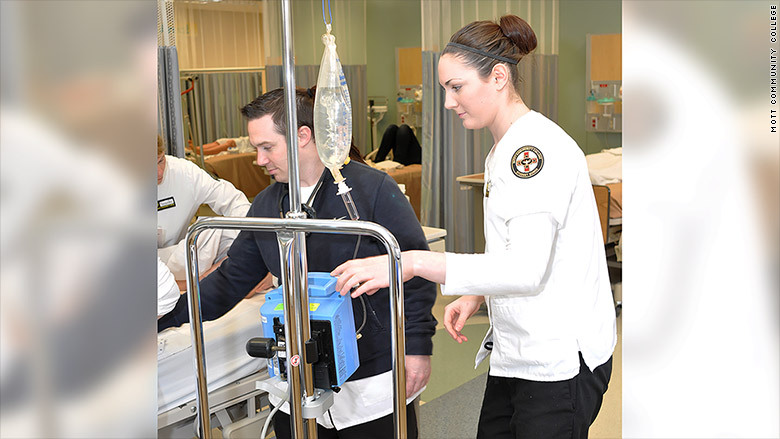 "We're expanding our program to new campuses, we're looking at new models of partnering with hospitals to allow [their] nursing staff to [be able] to teach," said Tara Hulsey, dean of West Virginia University's School of Nursing. "These bridge programs could really help with the [nursing] shortage," said Myszenski. 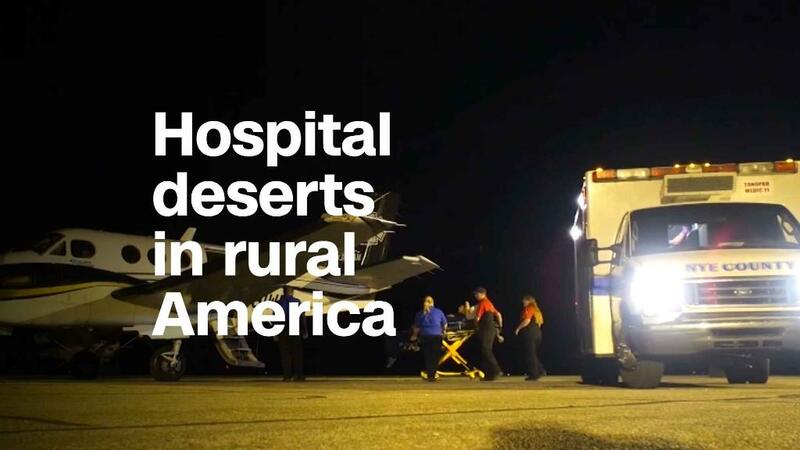 "You have to address the nursing shortage by thinking out of the box."